Carbohydrates, proteins, minerals, calcium, vitamins and fats are the important and integral for healthy skin. A proportion of all these things will make your skin beautiful and glowing. Now matter how expensive products you use to make your skin beautiful but until and unless you use healthy food you cannot healthy skin. Fresh milk, soy or goat milk, yogurt, low-fat cottage cheese makes your skin fresh, glowing and wrinkle free. Strawberries, sunflower seeds, blueberries and blackberries really good for healthy glowing skin. Strawberries are known to keep the cell structure protected of the sunflower seeds contain high amount of healthy oil thus another source of fresh vitamin E for the healthy skin. Blueberries are famous for their anti-aging process and the skin gets wrinkles at a later stage. Blackberries provide dietary fiber to the skin and help you retain the water content to maintain a healthy skin throughout the body. 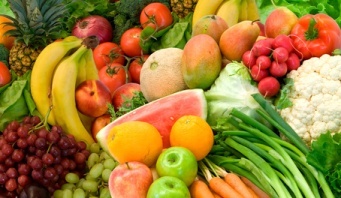 Try to add lots of fruits and vegetables in your diet. Mangoes are the best healthy foods for skin and eyes. Oranges help in healing the skin wounds quickly and avocado is a source of Vitamin K necessary to reach skin in a healthy form . drink plenty of water and make your skin healthy and beautiful..